A super-comfortable mattress topper that delivers a soft, cushioned and more comfortable night’s sleep. Ultra-fresh treated for better protection against bacteria and dust-mites, this topper also features boxed quilting to ensure the fill stays in place. 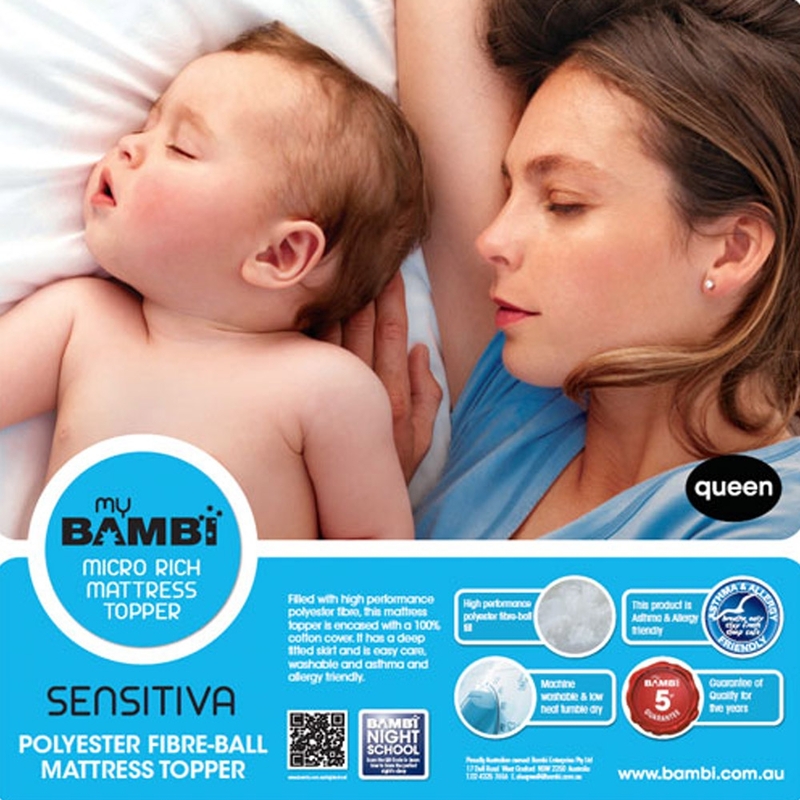 Filled with high performance polyester fibre, this mattress topper is encased with a 100% cotton cover. It has a deep fitted skirt and its easy care, washable, asthma and allergy friendly. An underblanket or mattress protector that has been designed to snuggly fit a deep depth mattress.